J. Day Plumbing in Melbourne provides Maintenance and General Plumbing Services 24 hours a day 7 days a week. We are fully licensed plumbers with over a decade of experience and knowledge within the trade. J. Day Plumbing prides itself on quality workmanship, on time arrival, reliability, value for money and a high level of customer care and satisfaction. Most of our work comes from repeat business and client referrals, as we take care in maintaining quality customer service and our reputation. We have extensive experience dealing with Real Estate Agents, Property Managers, Landlords, Building Managers, Body Corporates, Engineers, Architects, Builders, Home and Business Owners both Domestic and Commercial. We at J. Day Plumbing take the time to listen and understand your problems or ideas, from there we’re able to work closely with you ensuring your needs are met within your budget. 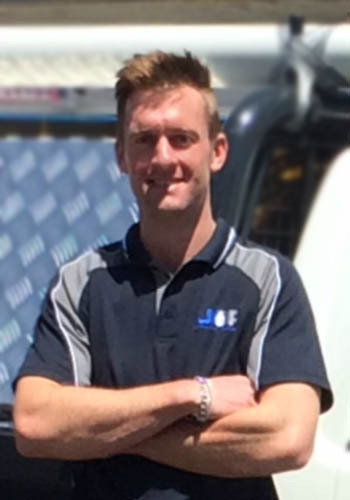 If you are looking for a clean, tidy, on time easy to deal with professional plumber, then please contact us and ask for Joshua Day.